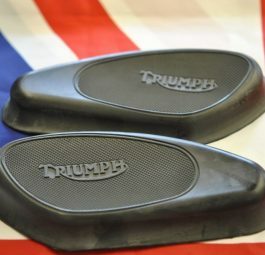 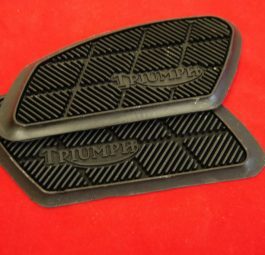 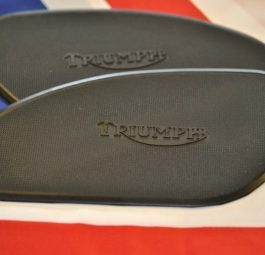 Triumph Pre-unit and ‘C’ range petrol tank knee grips, screw-or type. 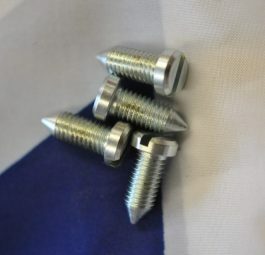 Screws only for PT45, per4. 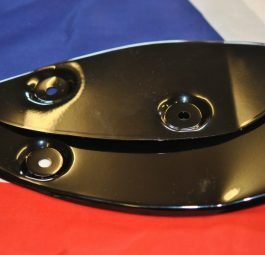 Pre-unit 3 gallon, ‘stretch over’ type. 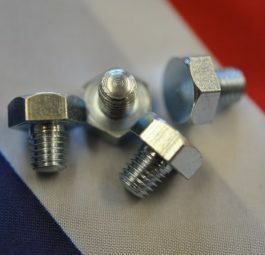 Bolts for fixing PT47 plates, per 4. 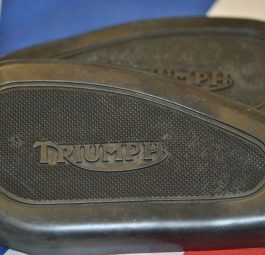 Stick on, early unit thin type.